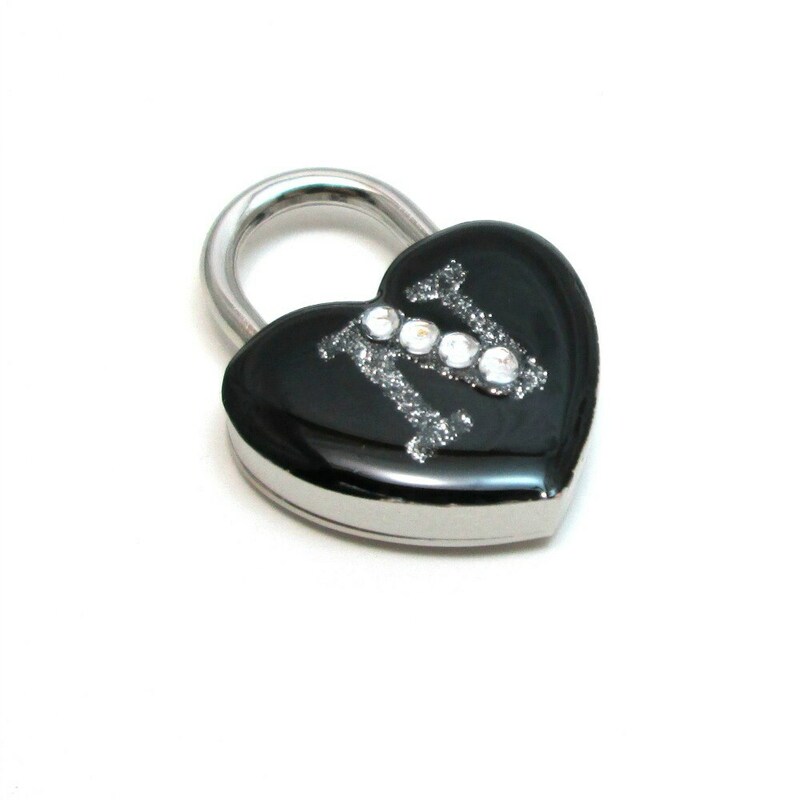 This gorgeous, bold padlock is personalized with your initial in sparkling silver with rhinestone accents on a jet black background, the picture of elegance! 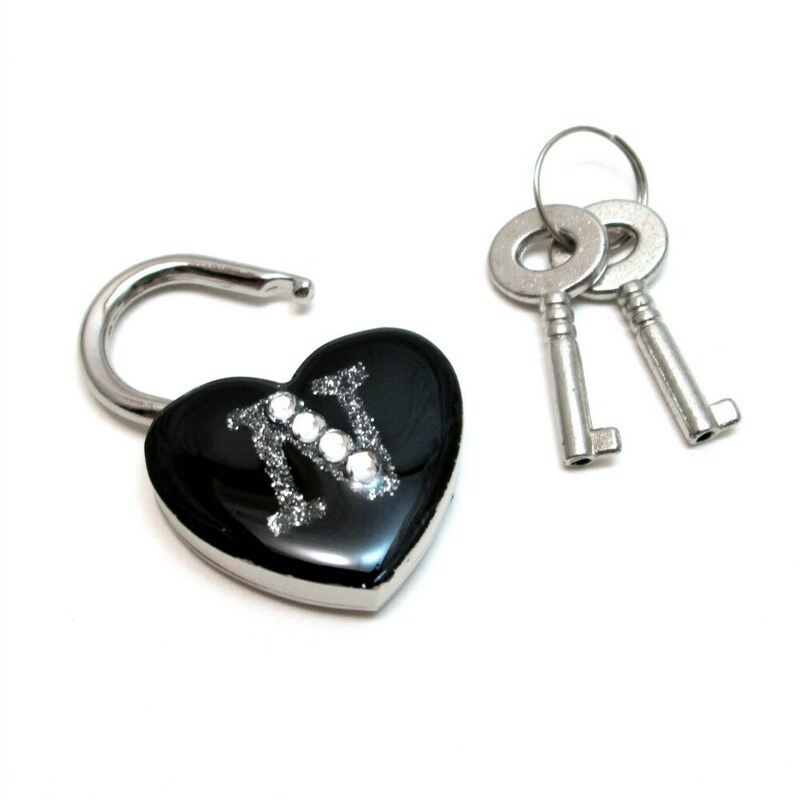 The lock measures 1 1/4 inches, or 30mm across, and comes with two keys. Perfect for day collars! Absolutely perfect and amazing in every way! Love it!